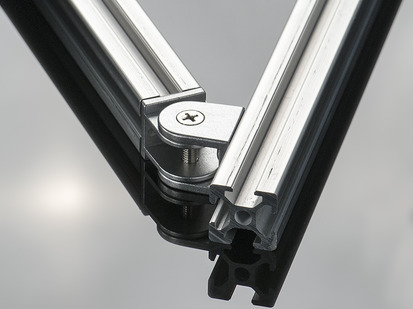 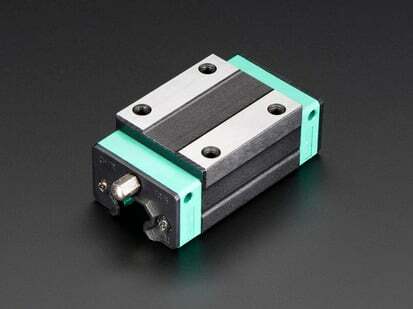 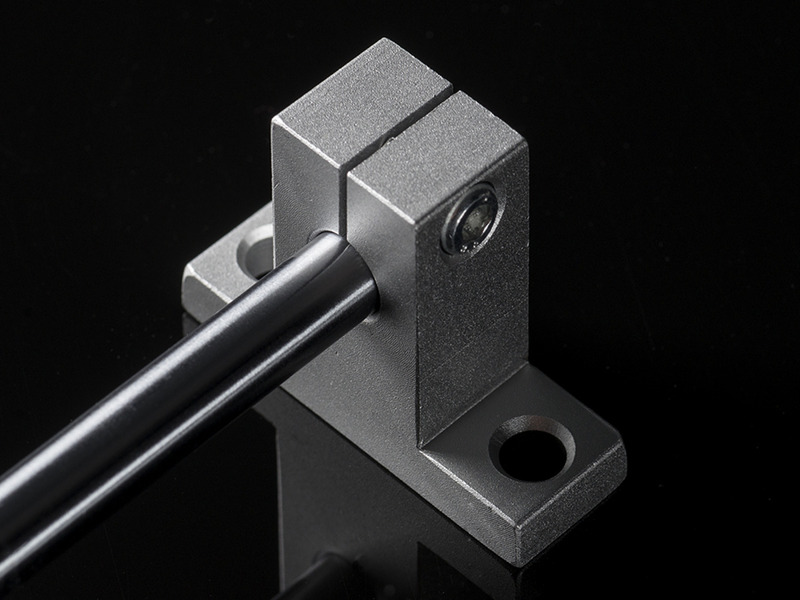 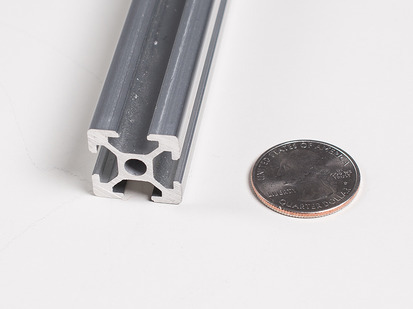 If you have an 8mm linear rail, you'll want to give it a bit of guidance and support to help it through the day. 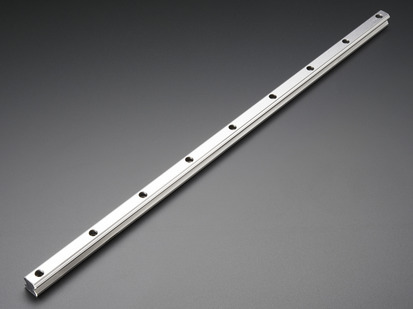 Sometimes a good word and a pat on the back is all you need, but when that's not enough, use a pair of these aluminum cast rail supports! 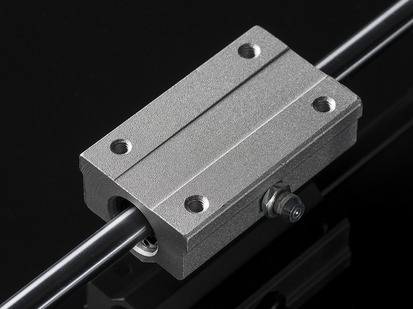 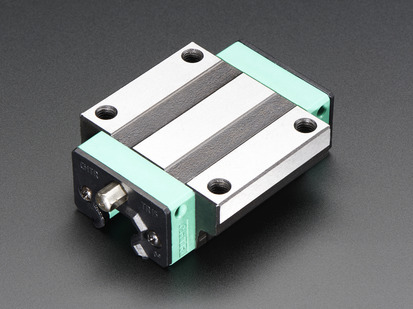 Usable with any 8mm linear guide, you can simply slide the rail through, then tighten the clamp screw at the top to fix it in place. 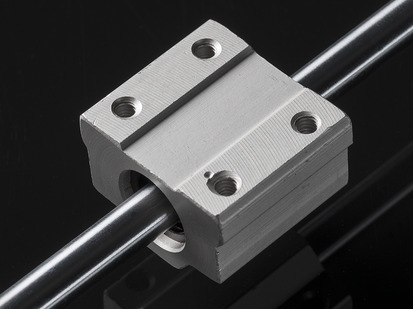 Then use up to 6mm diameter bolts to attach them. 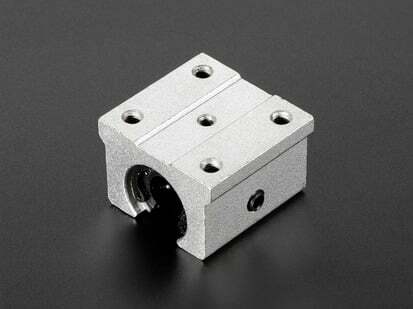 If you need to disassemble or otherwise repair your robot or machine, its easy to open up the clamp and remove the rail.